High force and compact design are combined with a piezoelectric stick-slip inertia drive in PI’s newest stage. 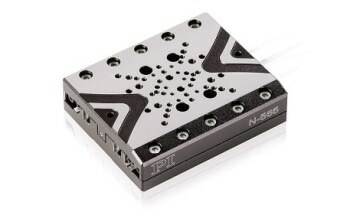 PI (Physik Instrumente), a top provider of precision motion control and positioning solutions for more than 4 decades, announces the release of a new compact linear stage, just 45mm wide, which combines high positioning accuracy with higher force and velocity than conventional inertia drives. The space-saving Q-545 provides advantages for use in research and OEM instrumentation that require positioning precision and alignment, such as photonics, bio-technology, nanotechnology, precision-optics, life-sciences, or medical design. Stick-slip drive motors, lacking gears, are powered by the natural difference in the static and dynamic friction coefficients found between two surfaces. 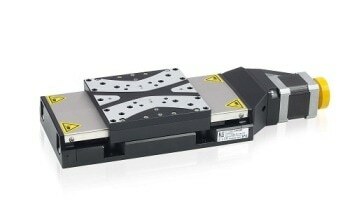 This direct linear motion drive principle reduces the number of components that can wear, making the stages more compact, reliable, and cost efficient. 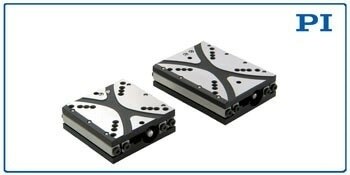 In addition to a number of standard product variations with 0.5” and 1” travel, PI stages and drives can be customized for OEM production quantities. With holding force of 8N and maximum velocity of 10mm/sec, the self-clamping motor design provides long-term power-off position-hold capabilities without the need for a brake -- a space and energy saving advantage. The stages can be run in open and closed-loop. 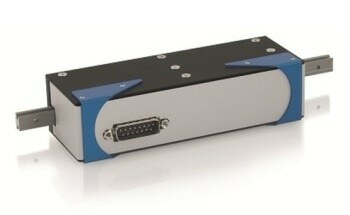 A high resolution option with integral linear position encoder providing 1 nanometer resolution is also available. Nonmagnetic versions and an ultra-high-vacuum version for pressures of 10-9 hPa are optional.